The Call for Applications for the 2019-2020 cohort of the Akin Studio Program at MOCA is now closed. Thank you to everyone who applied! 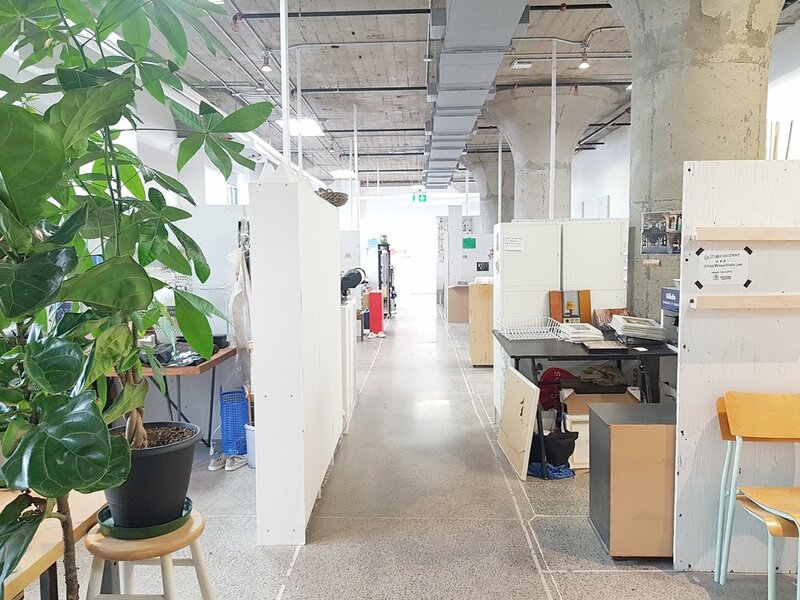 Akin is thrilled to announce a unique and publicly open partnership with the Museum of Contemporary Art Toronto Canada to provide affordable studio space to more than 30 visual artists and cultural practitioners in the Museum's new home on Sterling Road through the Akin Studio Program. The Program is open to student, emerging and professional art practitioners, curators and writers living in Toronto. The inaugural cohort of the Program started their studio residency in the Museum in September 2018. Selected artists have moved their studio into the Museum for a term of one year and will share their practices with the Museum’s visitors through programs such as open studio events. The studios vary in size from 25 to 200 square feet and were designed by Akin to create a light and welcoming environment for artists to develop their work. Regular Akin studio rental fees apply. Similar to Akin’s other locations, the space encourages a community atmosphere and the exchange of ideas. Year 2 of the Program will start October 1, 2019 and the Call for Applications for Year 2 has been announced. Visit www.akin.art/mocacall2019 for more details.